Seibertron.com Energon Pub Forums • Twincast / Podcast Episode #218 "Jump To Conclusions"
Twincast / Podcast Episode #218 "Jump To Conclusions"
Get your mats ready for Scotty P and Megatronus to take you through a new Seibertron.com Twincast / Podcast where conclusions are reached in the most arbitrary ways. Our Toy Fair hangover still hasn't quite subsided, so tune in to hear about what it's like on the ground during the event. Stick around after that for an impromptu look back at IDW Publishing's first 13 year run of Transformers plus the usual banter and brags. Episode #218 "Jump To Conclusions" is available directly and in our RSS Feed, and should appear on iTunes, Google Play, and Stitcher Radio within 24 to 48 hours of when you see this news post. A group audio interview conducted with the Transformers brand team at Toy Fair 2019 begins the episode. This features no members of the Twincast, but thanks to our pal Mr. Starscream for recording the questions and answers! Megatronus talks through the Toy Fair experience as we put a cap on this year's big event. 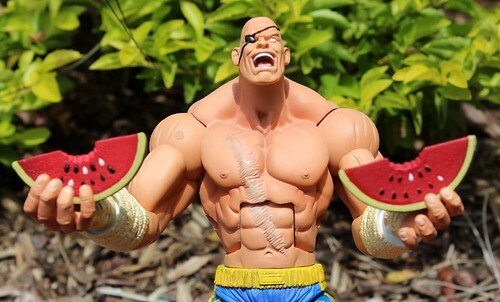 Don't forget to check out Seibertron's massive Toy Fair 2019 galleries if you haven't yet had the opportunity! 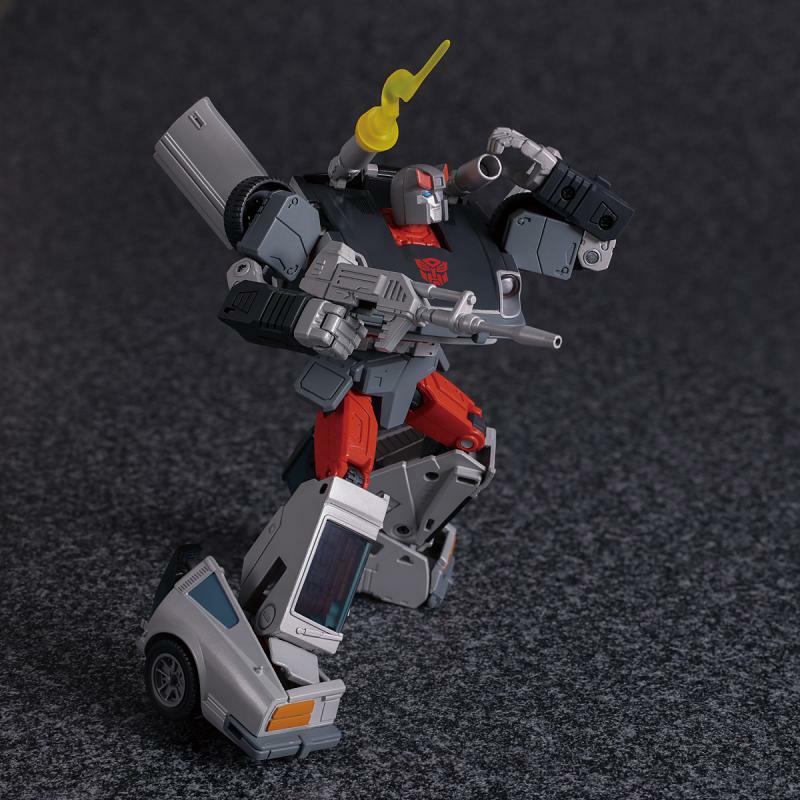 We give our two cents on a straggler from the Toy Fair coverage, MP-18+ Streak. Our wallets prepare to weep as Lebron James opens the Matrix of Leadership wait what? 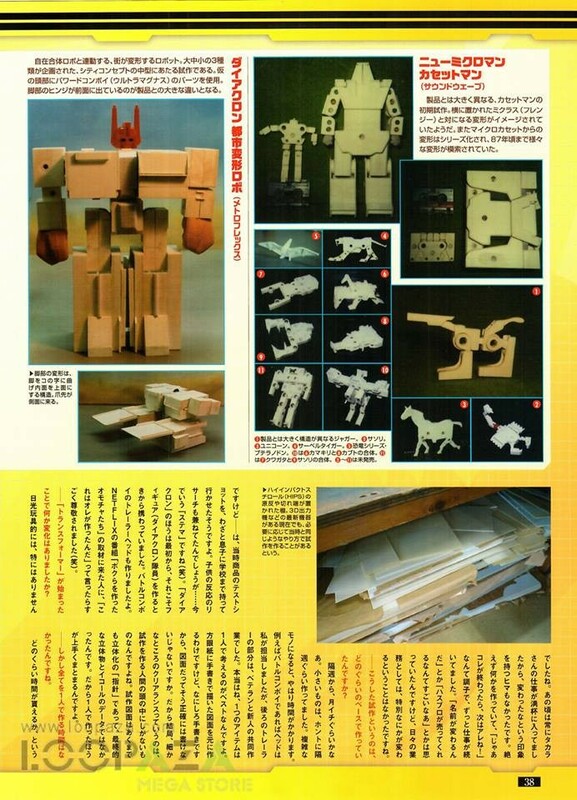 We take a moment to appreciate amazing Transformers prototypes from the 80s. We aren't afraid of no ghost. D-Maximal_Primal provides some excellent listener questions and we cherry pick two of them, starting with a look back at our favorite issues and characters from IDW's first 13 year Transformers continuity. A second listener question from the same batch is answered, this one regarding non-transforming Transformers. Bragging Rights take us to the end of another episode. Re: Twincast / Podcast Episode #218 "Jump To Conclusions"
Dont have a lot to say for this show for some reason, but enjoyed listening to it. Always nice when you can wake from a nap anf have a notice from Google Music saying "You hsve a new Podcast"
For me, I think its more likely that Takara is holding 3.0 back for themselves first, ro get the maximum out of the new toy feel, and using MP10 because they paid off the mould a long time ago and are printing money for thrmselves. Definately, I want to hear a CHUG (not sorry) Retrospective. Because a lot has happened since the Bumblebee with Wave Crasher. I will argue Scotty that Generations is too broad a term. CHUG more or less implies the Universe style where it was more or less grab bag characters getting toys. Then you have the later Generatiins that have become for lack of a better term seriealized. And by that I mean Combiner Wars, Titans Return, or now Siege, which ARE all a Generations line but arguably different from Classics which was not held together by a common theme, let alone a full out story. I also include Takara Metroplex in that cast, but in my head I have a thing where the Autobots have come to the clonclusion that revlealing that their spceship is a BF Transformer would probably not endear them to the Humans, meanwhile theor Human allies have already figured it out but are appreciating the plausible deniability. I tend to cut the Autobots down to Prime, Magnus, Jazz, bee, Ironhide, Ratchet, Bulkhead, Arcee, Cliff, Kup, Hound, Springer, Rollbar, Crosshairs, Drift, Wheeljack, and Perceptor just because a 35 member cast is just unwieldy and I doubt the humans would appreciate a force of refugees that big. My Wreckers include Timelines Impactor, TR Top Spin and Tein Twist, Timelines Paradron Medic and Quickslinger (paired with TR Broadside for reasons) RTS SeaSpray, T30 Sandstorm, T30 Whirl, and T30 Roadbuster. Other old figures include Universe Countdown, Cyb Jetfire as Groundshaker, Timelines Flak, Cyb Defense Scattershot as Powerbomb, Universe Treadshot, TF1 Big Daddy, the DofFP Maximals using Cyb molds, Tomelines Depthcharge, Cyb Long Rack, the white Universe SR71 minicon as Stampy, Takara's redeco of Alpa Trion as Lio Convoy,and the yellow Landfill team, but those are Cameos at best. Last edited by Flashwave on Sun Mar 03, 2019 10:05 pm, edited 1 time in total. ^ ok but look up the c-word, it's a racial slur and no one is using it like that on purpose but words still matter. ScottyP wrote: ^ ok but look up the c-word, it's a racial slur and no one is using it like that on purpose but words still matter. ... It is? Did not know that. But to play Devil's advocate, a certain Dinobot is named for a pile of scrap molten steel, except if you live in England, and I dont know of any of our "Crazy Brits" who are offended by Slag the Dinobot. Course, there are a number of things that didnt use to be offensive that either are now or are sensitive about, bit context should matter too. If anything, the old Chug name is still too general in referring to certain figures tgat popped up a lot, like Classics vs Henkei vs the Battle in a Box Optimus Prime. But in response to your comment in general about not having many if any CHUG era figures on the main collection, I have a few. But may br the outlier. I hope more people drop their main display lineups for comparison. When I saw that Crab Cassette I was immediately reminded of the Botch the Crab website and boxart scans. Couldnt remember if he knww about the prototype when he came up with Botch but its very close. Action Masters: I think Hasbro would be best to not, but I could see a line of Transformers characters in the style of thesmall GI joe style figures. But I think the line would have to be largely driven by playsets and vehicles, or else by prpducing a volume of decos we can't get in Transformers. Megatron died by execution in the central timeline/universe. It's cool that another version of him is out there, reborn in a way, gallivanting around in some other reality, but he was served for his crimes in the universe that knows him. Counterpunch wrote: Megatron died by execution in the central timeline/universe. First off, thanks for tackling those 2 questions! I'm hoping the other 2 get some time in the spotlight as well. I've been thinking about asking for a Japanese G1/BW toyline/cartoon retrospective, though I feel that would be difficult in many aspects. First off, Ectotron is amazing, and he seems so popular right now. Really glad to see this kind of collaboration, it seems to have turned some heads! That Bluestreak looks really good! I don't have any version of that mold, or a Bluestreak in general, so it'll be a nice pickup when he arrives. I love the accessories coming with the MPs now. We need these sort of blast effects and stuff with more figures. 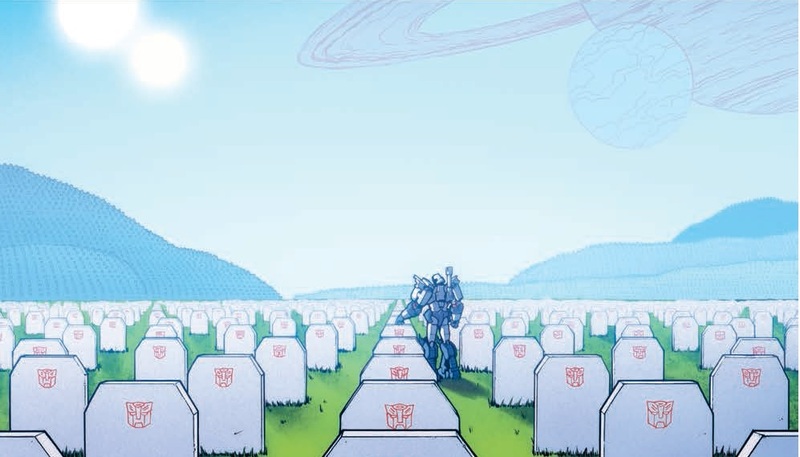 The one issue that stands out by itself was MTMTE 47, that yanked some tears from me. it was culmination of 20 issues, and I loved the Cyclonus I saw. Fantastic single issue. The Time Travel adventures with Brainstorm are my favorite collection of stories. I loved that arc so much, it covered a lot and solved so many mysteries. That and Brainstorm is a favorite, so seeing this sort of action and then his reveal of never directly killing was great. My top 3 characters from all of IDW were Whirl, Springer, and Jetfire. Whirl made MTMTE what it was, and was a great character change arc. Springer was the backbone of the Wreckers and showed up in the earliest days too, always being around and always being cool. Jetfire falls into a similar category to Springer, having never really been dull, and getting his backstory as he goes was cool too. If I cherrypicked the last few years after DoOP, Megatron, Trailcutter, Brainstorm, Jazz, and Soundwave would be up there too. I really like the model kits, and I want to see more, and I want to see a bit more frequent adaptation of them too. Imagine how we could get the 13 in accurate form, and even more IDW guys. Sure they won't transform, but most of them rarely, if ever, did, and it might be the only way we get them. I do agree Action Masters need redone with actual alt modes though. One moment of sheer brilliant story writing that I feel gets a bit overlooked is when Brawl confides in Windblade that he is war weary and glad for it to be over. He's kind of the every-man soldier and it's really a good take to see him express that it's time to move on and find something else in life. That sentiment could have come from a more important character, but having it be from someone who's whole life is to be a kill machine was pretty impactful. Long game that never occurred, I'd still have liked the crew to actually find ancient bots. Then for the reformed Megatron, now seeing the error of his ways to be judged not-guilty by those ancient bots because they envisioned a manifest destiny of conquering other worlds. In the way I'd play it out, they'd judge Megatron for his crimes, find him innocent, but then condemn the descendants for failing to follow their intent. The ancient ones would mobilize a force to impose on these reluctant children of theirs a war-borne path. Megatron and Rodimus would have to return home to prepare Cybertron for what was to come. Counterpunch wrote: One moment of sheer brilliant story writing that I feel gets a bit overlooked is when Brawl confides in Windblade that he is war weary and glad for it to be over. He's kind of the every-man soldier and it's really a good take to see him express that it's time to move on and find something else in life. I feel like if they twisted his arm to continue the story past the planned conclusion point (since what we got is what we were allegedly going to get, just heavily compressed) the door would be open to do something like this with the Omega Guardians. Both of those instances are before the Bruticus story where the dead leg Swindle being part of the shared "consciousness" of the combiner made at least some of the other Combaticons realize what sociopaths they'd been. ^ I was too lazy to find the panel but at least one of them explicitly calls it out. Something akin to "wait that's what death is? That's what I did to others? Oh. Crap." ScottyP wrote: ^ I was too lazy to find the panel but at least one of them explicitly calls it out. Something akin to "wait that's what death is? That's what I did to others? Oh. Crap." I do remember the panel from 4 you're talking about. Brawl freaks out cause he's living Swindles death, and he was the only one doing so, Onslaught wanting information, Blastoff wanting out of this and wanting to not make a scene, and Vortex reveling in the destructive capabilities. Ok, I guess it does make some more sense for Brawl to have said that. 4,785 pages were recently viewed by 845 unique visitors. This page was viewed 1 times on Monday, April 22nd 2019 1:05pm CDT. © 2019 Seibertron, Inc. DBA Seibertron.com. All Rights Reserved. Established June 2000. Seibertron.com is owned by Ryan Yzquierdo.